The two previous articles in this series demonstrated problems with the old-earth timescales that secular scientists have assigned to deep seafloor sediments and ice cores.1,2 This article presents a positive argument for the youthfulness of the seafloor sediments—an argument that has ominous implications for the vast ages assigned to the high-latitude ice sheets. At today’s “slow and gradual” rates, it can take a thousand years for just a couple of centimeters of sediment to be deposited on the ocean floor. Because these sediment layers can be many hundreds of meters thick, and because it’s assumed that sedimentation rates have always been slow, secular scientists believe the sediment deposition required many millions of years. Although creation scientists reject the millions of years that secular scientists have assigned to the seafloor sediments, they do agree that their deposition has been slow and gradual for at least the last few thousand years. But even a few thousand years of slow deposition could only account for a tiny fraction of the total sediments on the ocean floor. How, then, can creation scientists explain the great thickness of these sediments? Objects called manganese nodules found on the floors of the Pacific, Atlantic, and Indian Oceans provide a significant clue. 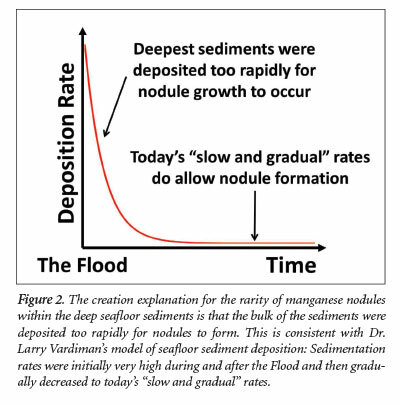 But if nodules don’t dissolve after burial, then their absence in the deep sediments implies that nodules simply were not being formed when the deeper sediments were deposited. Secular scientists have suggested possible explanations for this,5 but these proposals tacitly acknowledge that past conditions were significantly different than those of today, and this violates uniformitarian assumptions. In the case of manganese nodules, the present is definitely not “the key to the past”! If most of the seafloor sediments were rapidly dumped into the ocean basins, then one might expect additional geological clues to fit this interpretation of the data. Is this the case? Each planation surface marks a very specific event in time and therefore allows insight into the geological history of that area. These surfaces are especially important since they are observed on a global scale. The deepest global planation surface is called the Great Unconformity. Secular geologists have identified at least five other global planation surfaces that were supposedly formed as oceans slowly flooded the continents and later drained off in cyclic succession. Secular scientists believe these planation surfaces define the tops and bottoms of what are termed megasequences. The Great Unconformity is, in fact, the base of the first of these megasequences, known as the Sauk sequence. 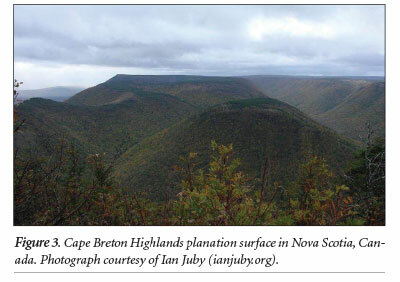 The upper erosional boundaries of each megasequence are believed to have been created as each new megasequence, during its deposition, eroded the top of the previous sequence. These megasequence-bounding erosional surfaces, like the Great Unconformity, have been traced across the globe and yet the mechanism of their formation continues to perplex secular scientists.12 This is because modern erosion creates V-shape stream channels across all exposed land; it does not create planar surfaces. So if no modern geologic process can account for the creation of flat planation surfaces, then how did they form? The answer requires a unique global erosional event: the Genesis Flood. At the start of the Flood, we would expect the formation of a vast erosional plain like the Great Unconformity as immense tsunami-like waves swept across the continents, stripping away soil in a matter of hours or days. As the Flood progressed, the water oscillated, retreated, and advanced in cycles, resulting in the formation of additional megasequences and their associated planation surfaces. Thus, these erosional episodes (planation surfaces) between megasequences do not represent millions of years but merely brief hiatuses as the floodwaters surged. At the end of the Flood, the newly formed ocean crust cooled and subsided, deepening the ocean basins and lowering sea levels worldwide. This caused the floodwaters to recede on a vast scale, likely as massive sheets of rapidly moving water drained off the continents.14 “And the waters receded continually from the earth. At the end of the hundred and fifty days the water decreased” (Genesis 8:3). In some cases, inclined strata of varying hardness on the continents have been beveled flat (Figure 4). This is consistent with catastrophic erosion by rapidly moving sheets of water but inconsistent with slow and gradual erosion over long periods of time.12 Such catastrophic sheet erosion would have dumped enormous quantities of sediment into the ocean basins in a short amount of time. The scarcity of manganese nodules in the deeper seafloor sediments is consistent with this rapid deposition, and their abundance in the upper seafloor sediments is consistent with a gradual decrease in sedimentation rates in the millennia after the Flood. Hence, the Bible’s true history of a global flood and a young earth enables us to make far better sense of the seafloor sediment and erosional data than can uniformitarian, old-Earth assumptions and speculations. The evidence points to a young earth! Hebert, J. 2014. Ice Cores, Seafloor Sediments, and the Age of the Earth: Part 1. Acts & Facts. 43 (6): 12-14. Hebert, J. 2014. Ice Cores, Seafloor Sediments, and the Age of the Earth: Part 2. Acts & Facts. 43 (7): 12-14. Somayajulu, B. L. K. 2000. Growth rates of oceanic manganese nodules: Implications to their genesis, palaeo-earth environment and resource potential. Current Science. 78 (3): 300-308. Dean, W. E., W. S. Moore, and K. H. Nealson. 1981. Manganese Cycles and the Origin of Manganese Nodules, Oneida Lake, New York, U.S.A. Chemical Geology. 34 (1-2): 53-64. Glasby, G. P. 1978. Deep-sea manganese nodules in the stratigraphic record: evidence from DSDP cores. Marine Geology. 28 (1-2): 51-64. Pattan, J. N. and G. Parthiban. 2007. Do manganese nodules grow or dissolve after burial? Results from the Central Indian Ocean Basin. Journal of Asian Earth Sciences. 30 (5-6): 696-705. Patrick, K. 2010. 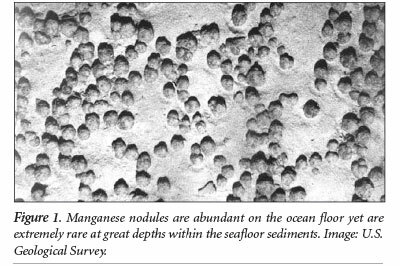 Manganese nodules and the age of the ocean floor. Journal of Creation. 24 (3): 82-86. Vardiman, L. 1996. Sea-Floor Sediment and the Age of the Earth. El Cajon, CA: Institute for Creation Research. Shcherbov, B. L. and V. D. Strakhovenko. 2006. Nodules in Sediments of an Artificial Reservoir in the Altai Territory. Lithology and Mineral Resources. 41 (1): 45-53. Lalomov, A. V. 2007. Mineral Deposits as an Example of Geological Rates. Creation Research Society Quarterly. 44 (1): 64-66. Thomas, B. and J. Morris. 2013. Doesn’t Radioisotope Dating Prove Rocks Are Millions of Years Old? Acts & Facts. 42 (2): 20. Oard, M. 2006. It’s plain to see: Flat surfaces are strong evidence for the Genesis Flood. Creation. 28 (2): 34-37. Oard, M. J. 2014. The meaning of the Great Unconformity and Sauk Megasequence. Journal of Creation. 28 (1): 12-15. Austin, S. A. et al. 1994. Catastrophic Plate Tectonics: A Global Flood Model of Earth History. In Proceedings of the Third International Conference on Creationism. Walsh, R. E., ed. Pittsburgh, PA: Creation Science Fellowship: 609-622. Vardiman, L. 1997. Global Warming and the Flood. Acts & Facts. 26 (12). * Dr. Hebert and Dr. Clarey are Research Associates at the Institute for Creation Research. Dr. Hebert received his Ph.D. in physics from the University of Texas at Dallas, and Dr. Clarey received his Ph.D. in geology from Western Michigan University. Cite this article: Various Authors. 2015. Ice Cores, Seafloor Sediments, and the Age of the Earth, Part 3. Acts & Facts. 44 (1). Thick Ice Sheets: How Old Are They Really?